Nintendo's Super NES Classic Edition mini-console arrives at the end of the month, and the Retronauts writing team has voted to rank the 20 classic games on the mini. Unlike last year's Classic NES Edition, the Super NES mini doesn't have a single dud on it, so think of this as a countdown from good to great. After 19 other games, most of which were pretty good, there was only one way this could end...with the #1, obviously. Which so happens to be possibly the greatest adventure of them all. 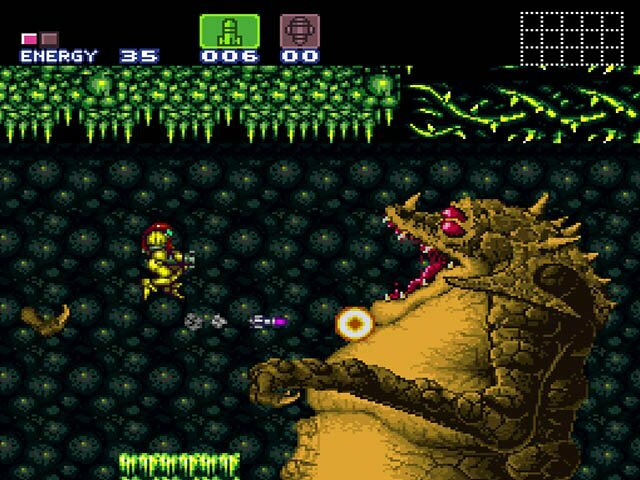 What makes Super Metroid a worthy inclusion? It's the greatest game on the Super Nintendo. 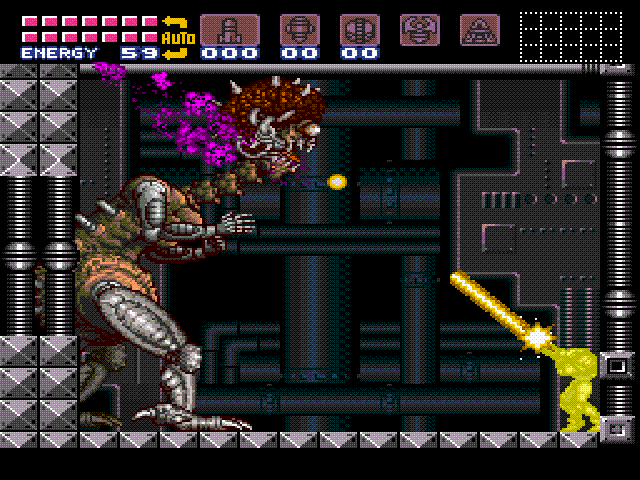 Super Metroid is the greatest game on the SNES, and of the 16-bit era too. The end. Cheers folks! What's your justification for such a statement? Because I believe it. Good day. For heaven's sake, can you put SOME effort in? Your fellow comrades have been busting their arses for a whole month on this, and you're just going to produce this wet fart of a finish? You're a prick. *sigh* ok then. Still, you could probably construct a factual case for it being a justifiable inclusion based on its sales of well over a million, or its constant appearances at the very top end of all manner of "best game ever" lists. But if I had to construct a more emotional case for Super Metroid then I would go by my own personal experiences of it as someone who, in the main, was team Sega back in the 16-bit days. I didn't play SM at the time, and instead spent years listening to people tell me that it was one of the best games ever until finally, a few years ago, I decided to look for myself, expecting my high expectations to not be met. They weren't just met, they were surpassed. It's rare for a game that's hyped so much to actually meet such expectations, but this one did -- everyone who said it was one of the best games was right. Even as a die-hard Sega nut, I had to concede that no, there was nothing on the Mega Drive that was on the level of Super Metroid. 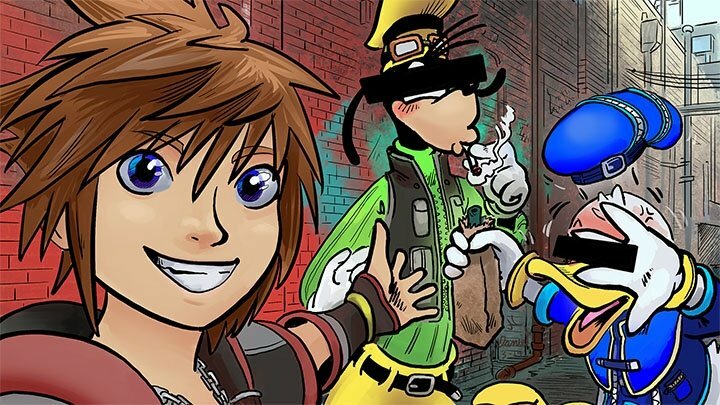 If nothing else, this shows the lasting power that the game has -- anyone could pick this game up today, having never played it before, and potentially have that experience. 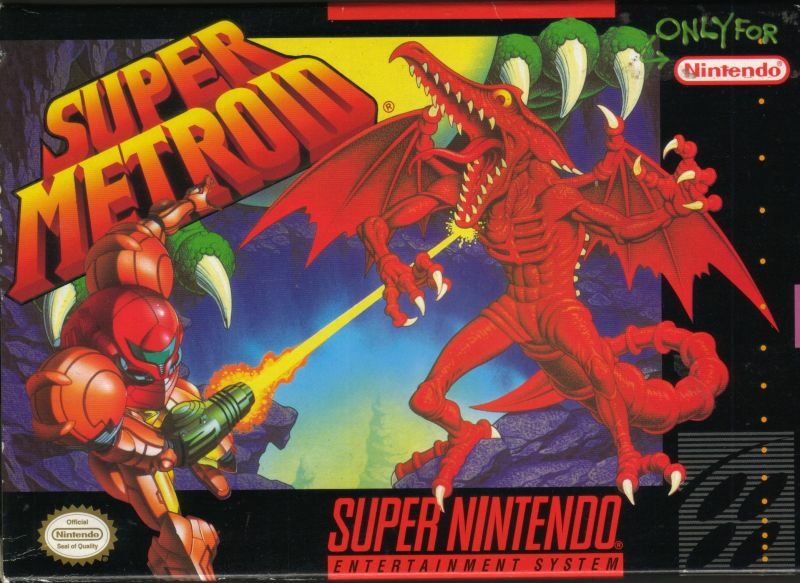 Super Metroid is one of those titles that had a very direct influence -- even other established franchises changed their approaches entirely based on the impact that Super Metroid had. Castlevania followed suit, switching from a straight ahead platformer to an exploration-based Metroid style game with 1996's Castlevania: Symphony of the Night, and the term "Metroidvania" has been used to describe Metroid-esque games ever since. The Metroidvania continues to be a popular style of game today, one that's also used for 3D games with similar characteristics such as the Batman: Arkham series to celebrated indie titles like Axiom Verge or Ori and the Blind Forest. Many games directly owe a debt to what Super Metroid achieved. Metroid had a tendency towards atmosphere from the very first game onwards, but Super Metroid was the true home run -- Planet Zebes feels like a truly lived in world, where each one of its zones has a distinct character, usually dictated by whoever the boss of that area is. The murky depths of Draygon's Meridia, the fiery hell of Lower Norfair where Ridley eagerly awaits...there's so much anticipation behind every door opening -- not just for the challenge that awaits, but to see what's inside...it almost feels like you're going through a living quarters sometimes, or a big communal area. This aspect of the game, not to mention some of the most prominent in-game cutscenes to date, had a great influence on many games, not just fellow Metroidvanias. 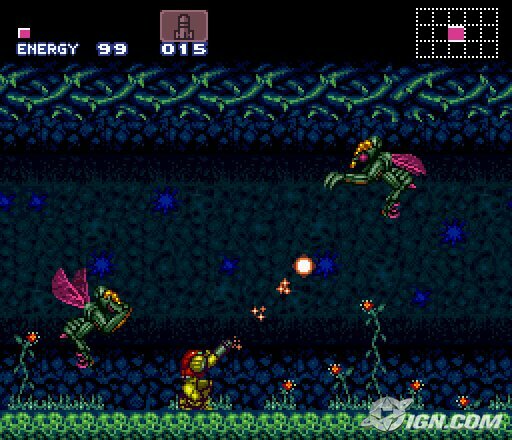 Super Metroid is quite an advanced game when it comes to controls -- at first glance it might seem like you just jump, roll and shoot, but there's so much more. There was perhaps no game that featured quite as many advanced tricks available to the player as SM did when it came out. The wall jumps, shinesparks, X-factors, fast rolls...even beyond all the abilities that you get through playing the game like the Screw Attack and Grapple Beam and what have you, learning all the many skills that Samus has takes some doing. And knowing how to apply them is one of the ways that you keep on playing this game forever. 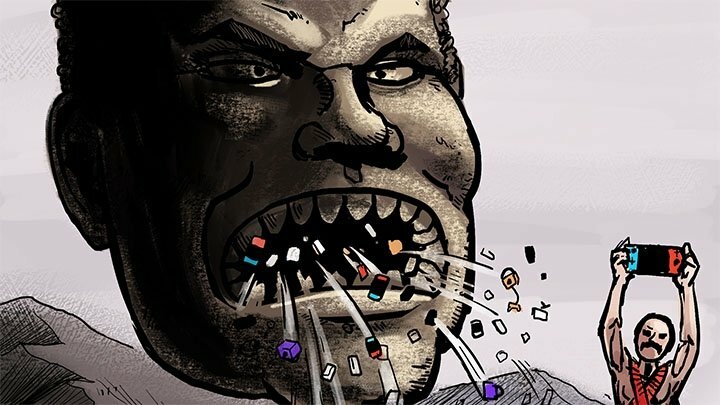 As befits a game like this, there are multiple ways to achieve your goal of defeating Mother Brain, blowing the whole joint and riding out unscathed. For the casual player, this usually manifests itself in how many items you're willing to grab in order to make that goal...Super Metroid is positively teeming with secret areas and locations for energy tanks, super missiles and all that other good stuff, and you'll need every single one of them to achieve the magic 100%. But for advanced players, it can mean things like completing the game without certain pick-ups, or completing it in the "reverse" boss order...or just completing it very quickly, which we'll get to later. There's so many different ways to complete Super Metroid that you could spend forever and a day learning all of them. Super Metroid played a very important part in the big surge in popularity for speedruns in recent years. It is commonly regarded as one of the toughest runs of them all for the sheer skill required, and high chance of failure -- learning the speedrun routes require a mastery of all Samus's techniques, as well as the ability to play most of the game on a knife edge. One of the big breakthrough moments for Metroid speedrunning came at the AGDQ 2014 event, when runners Zoast, Ivan, Garrison and Krauser played out a 4-way race, with expert commentary, that was won with mere seconds between the leading two. Thanks to this moments, odd terms such as "Alcatraz", the "Full Halfie" and the thoroughly rude-sounding "Arm pumping" became common knowledge in the world of gaming. 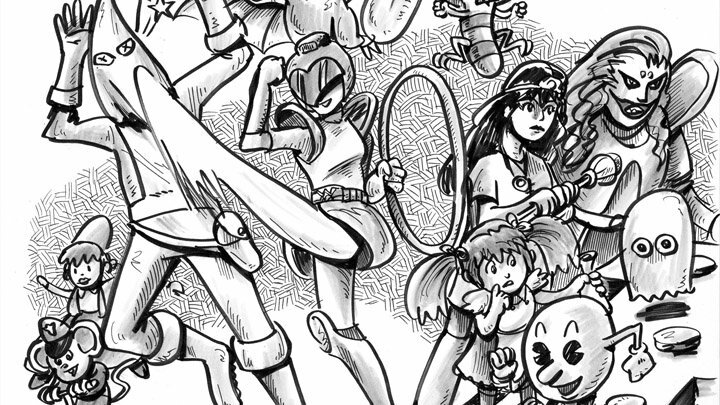 Metroid has always had a strange place in Nintendo's pantheon of regulars -- Samus has pretty much always been under threat, because Metroid has generally never been the most popular series in Japan. Even Super Metroid, as good as it was, wouldn't change that -- the game did a lot better in the West than it did in Nintendo's homeland. The game took two years to develop, and was threatened with cancellation several times by Gunpei Yokoi due to the time it was taking and the belief that it would be a money loser. However, the Metroid team led by Yoshio Sakamoto managed to keep the wolves from the door and see the project through. Some people have speculated about a possible connection between Super Metroid and Alien 3. 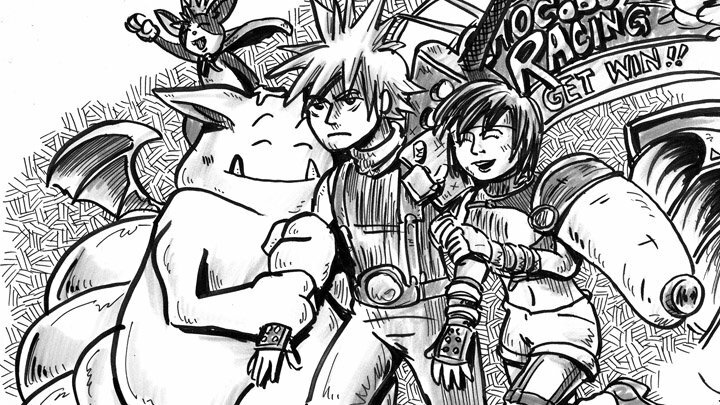 Aside from both being the third entry in their respective franchises, they both have a female protagonist who has a strong, almost motherly bond with an alien lifeform. While this influence has never been confirmed, the most official connection is that with the Godzilla movies -- a good half of the bosses let out kaiju roars sampled directly from Godzilla flicks upon their death. Crocomire and Phantoon use Titanosaurus, Draygon uses Anguirius, and Mother Brain uses Mothra. Super Metroid is often praised for how tight and focused it is, how its world feels utterly lived in and everything connects so well together -- in fact, I did exactly that a few paragraphs up. However, the actual construction of Super Metroid's map was one of the last things to be done in the game -- the many rooms of Super Metroid were a disparate and disorganised mess right up until the very last month of the game's development, when they were finally brought together into a whole. It's amazing what one can do when they're under the pressure of the crunch. As with a lot of Nintendo games, Super Metroid has its fair share of strange romhacks -- and sure, a lot of them are simply ones that up the difficulty to ridiculous levels, Kaizo-style. However, there are some other interesting ones out there -- you can find hacks that amp up the exploration, or even hacks that are designed in order for people to learn the many advanced tricks the game has to offer. The most interesting one of them all however, has to be Super Metroid Rotation -- it's the exact same game, only flipped 90 degrees...and yes, it's still playable albeit much harder. It's amazing how the game still works brilliantly, even when you quite literally push it over.